Merida is Tropic’s second destination in Mexico and its fifth international route. In November, Tropic added Roatan service to complement its existing San Pedro Sula, Cancun and Flores, Guatemala routes. That's good news. Mérida is a great place. Also a medical emergency destination. 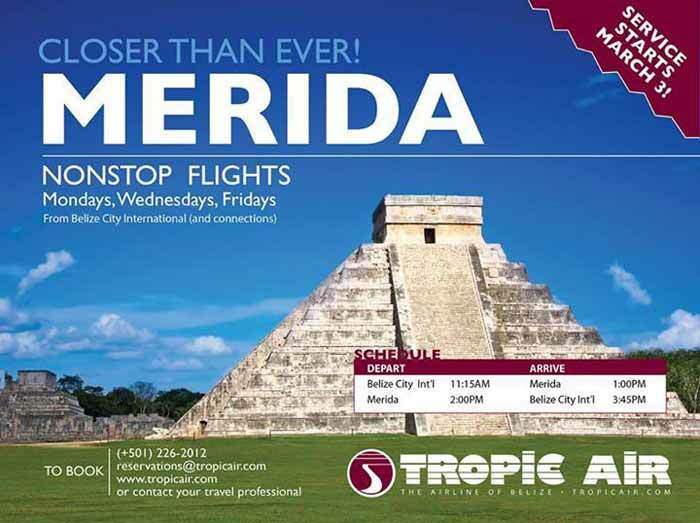 Starting on March 3rd, you will be able to get to Belize in less than 2 hours, since the Belizean company Tropic Air is now offering 3 weekly direct flights from Mérida, Yucatan to Belize, according to the Tourism Promotion Secretary. Tropic Air is the largest and most experienced airline in Belize. 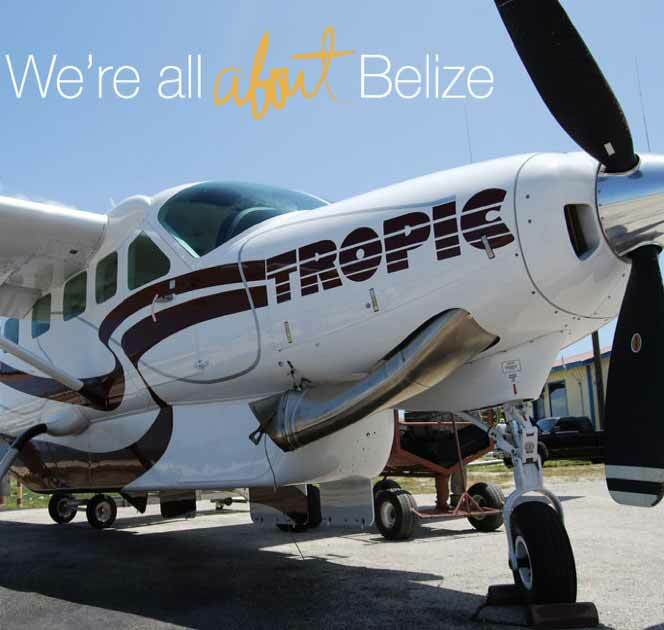 Since its opening flight 34 years ago, Tropic Air has always been a forerunner in the promotion of the tourism industry within Belize and flies to 15 destinations within the Central America country, two in Guatemala, Cancun in Mexico, and San Pedro Sula in Honduras. They also offer charters to more remote and exotic places throughout Belize. There will be departures on Mondays, Tuesdays and Fridays. The plane will leave Belize at 11:15 am and arrive in Merida at 1 pm. An hour later, at 2 pm, it will leave out of Merida to arrive in Belize City at 3:45pm . The Yucatan Tourism Promotion Secretary (SEFOTUR) indicated that the airline issued a press release to officially announce these new flights, ticket prices have not been mentioned yet, but there is a special rate valid until the end of February. Those who fly to Belize, will be able to make a connection to 11 alternative points in that country, or to other destinations such as Honduras and Guatemala. The airline’s spokesman said that Merida is the second destination where they provide service in Mexico, they also offer a flight to Cancun and this is their fifth international route. Tickets can be booked on the website www.tropicair.com or by email at the following address: [email protected] . If you prefer , you can call ( 501) 226-20-12 , or go to the Tropic Air front desk at the Merida International airport. Tropic Air, the largest and most experienced airline in Belize, will begin nonstop flights between Merida and Belize City on Monday March 3rd. The flights will operate three times a week, and will offer connections to destinations throughout Belize, as well as two cities in Guatemala and two in Honduras. Merida, Mexico is one amazing city. 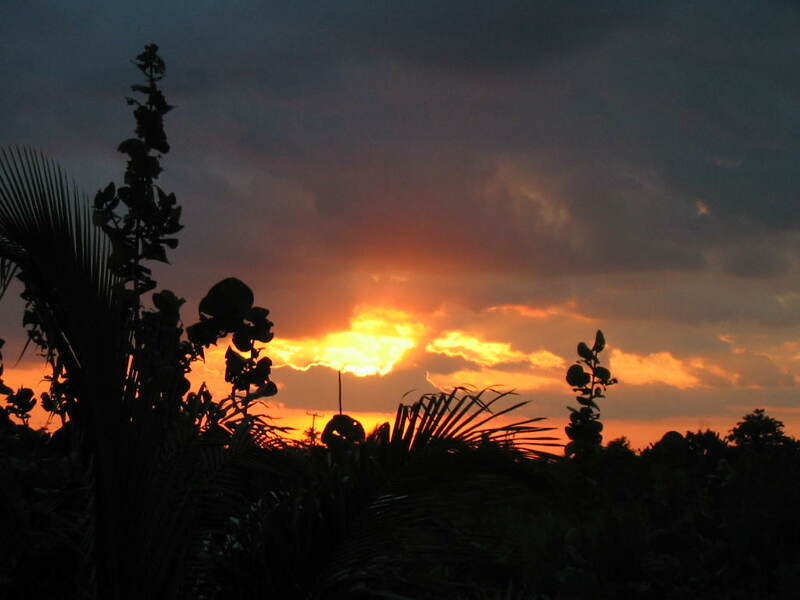 And now, the trip from Belize City to Merida, Mexico is fast, direct and easy. Yesterday, I was lucky enough to be on board the very first commercial flight to Merida with Tropic Air. And I have the certificate (and the gorgeous photos) to prove it. Super exciting. The view is amazing. This is just north of Belize City. Up to 8000 feet. 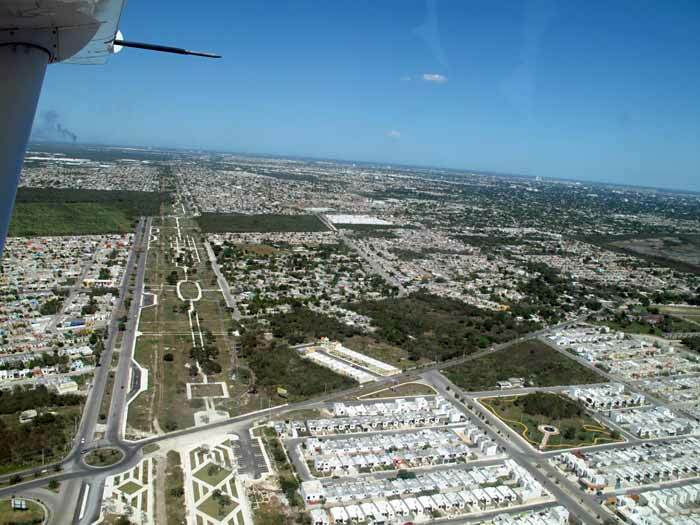 A few towns scattered about but most of the Yucatan is unpopulated. A very smooth hour and a half later we started our descent into Merida. The airport is JUST on the outskirts of the city. It’s a pretty quick ride right to the Centro.